I have enjoyed photographing the construction and completion of a number of the Serpentine Pavilions from as far back as 2006. 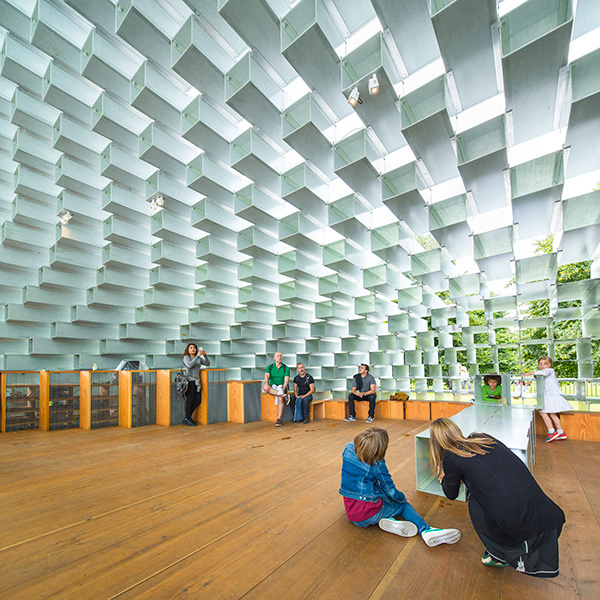 Each summer a pavilion is created in the arboreal landscape of London’s Hyde Park. While this landscape can make capturing views and details a challenge, it does a great job of framing the building and lends it a more sculptural feeling. Another great thing about photographing architecture in this park setting is the huge open sky. The quality of light here offers a wide but subtle tonal range across the site. That’s not always the case when photographing architecture in London. Taller buildings and narrow streets mean there’s often more work to do to counter heavy contrast in the view. 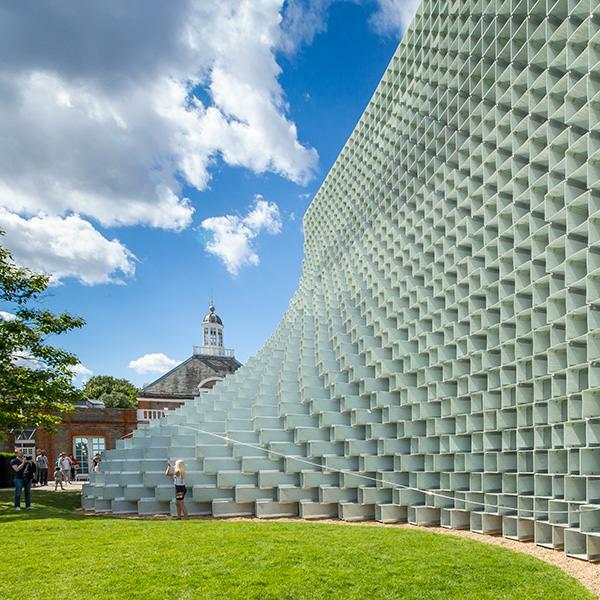 Before my visit to the 2016 pavilion, I had the pleasure of interviewing BIG Architects’ Kai-Uwe Bergmann at a presentation in London. It was great to hear his insights on the approach to, and the challenges in, delivering this unique temporary building. For me, that temporary nature is another element that makes the pavilion exciting to visit and to photograph. It has become something of a heartbeat for London.